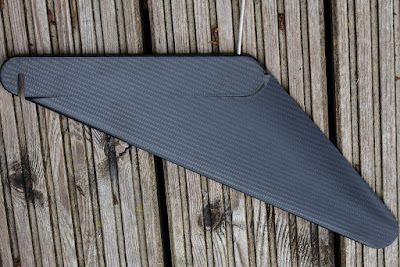 Carbon Fibre sea kayak skeg review and test. Paddle sailing is a particularly satisfying aspect of sea kayaking and down wind you can hit speeds of over 20km/hr and frequently overtake the waves in front. Downwind the deployed skeg is very helpful to being able to paddle sail at maximum speed as you are not having to waste energy with steering paddle strokes. Most sea kayaks are fitted with plastic skegs of varying stiffness and form. Most are parallel sided with just a token rounding at the trailing and leading edges. 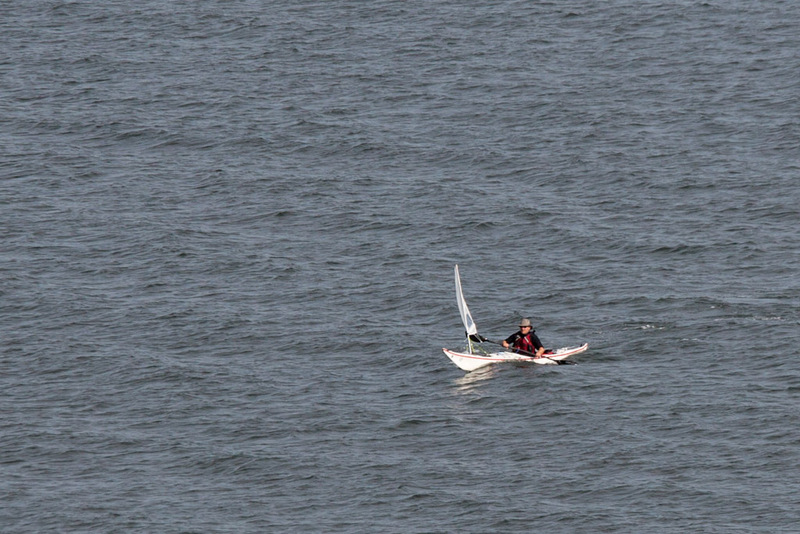 Skegs like this are adequate for controlling weather cocking at normal paddling speeds of 5 to 8km/hr. However, at greater speeds I have found that some skegs hum, some seem to have little effect and some suddenly loose grip. On the water Norbert's skeg adjusted very easily, felt very positive and did not hum even at speed. 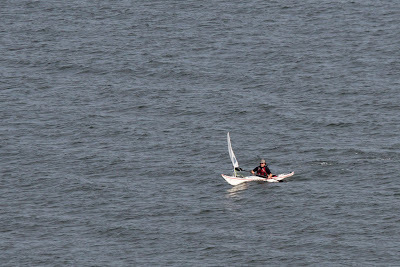 When paddle sailing, the course could be adjusted with even a small movement of the skeg. 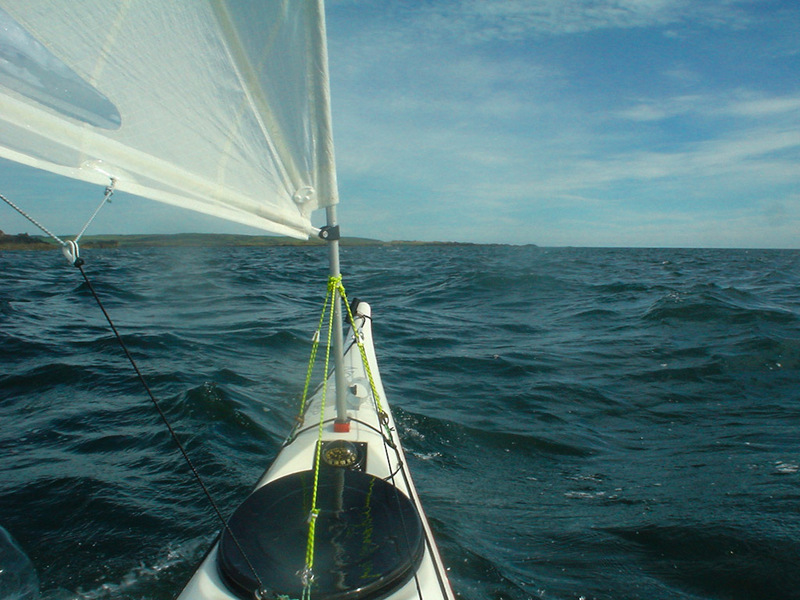 Later in the summer I will be able to do back to back tests with another diolen Nordkapp LV (though sadly this does not have sail fittings) monitoring speed with a GPS. Although I think Norbert's skeg feels more positive when paddle sailing, to be honest, I am not convinced it is much faster. However, if it prevents even one broach, you will be at least 100m ahead of your broached pal. 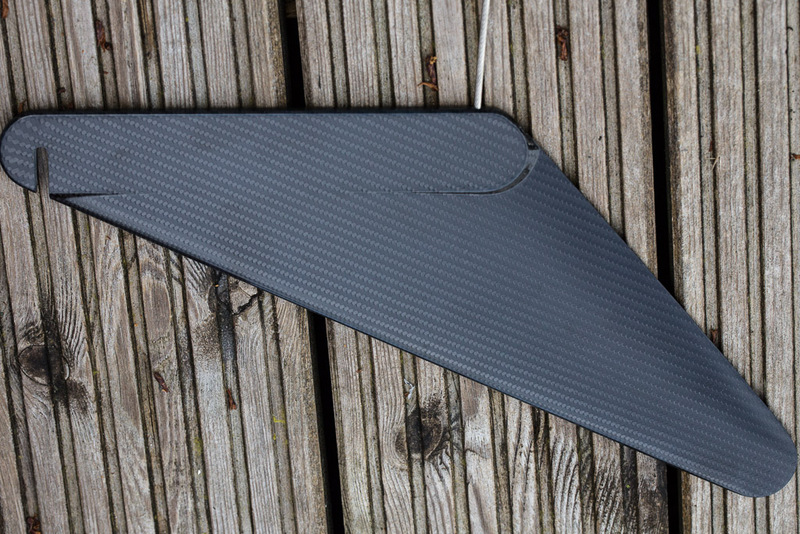 Anyway what would you rather have hanging down from the stern, this beautiful skeg or a lump of grey plastic? 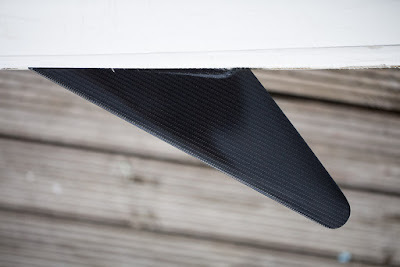 I don't think this will be a problem for sea kayak skeg boxes such as those made in the UK or the Cobra factory in Thailand as sea kayak skegs are much smaller and the speeds are much less than in windsurfing. I can see that paddle sailors would be a market for skegs such as these. Also those people who buy carbon kevlar kayaks with beautiful clear hulls would surely love to have a matching skeg. I suggest Norbert contacts Valley! 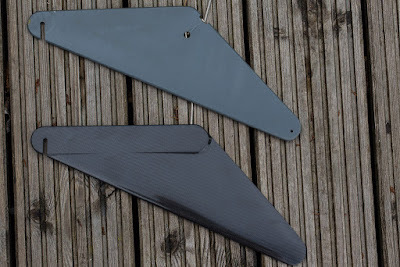 I wish Norbert every success and if you would like to buy a carbon fibre Valley skeg you can contact Norbert on norbertga@o2.pl .